Looking comfortable. Feeling comfortable. That’s what modern farmhouse living is all about. 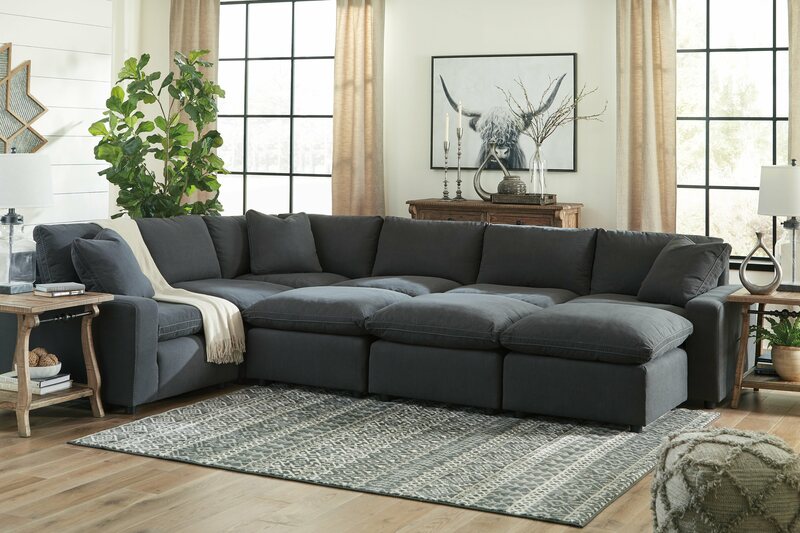 What better way to embrace the modern farmhouse trend than with the Savesto 6-piece sectional in charcoal. As casually cool as they are luxurious, the sectional’s reversible back and seat cushions are feather filled and wrapped in a cottony soft fabric for cloud-like comfort. Crisp, clean lines and track arm styling simply work. This "modular sectional" is available in two colors and multiple configurations. Price may vary based on configuration.